As promised, I am back today to post some more news. 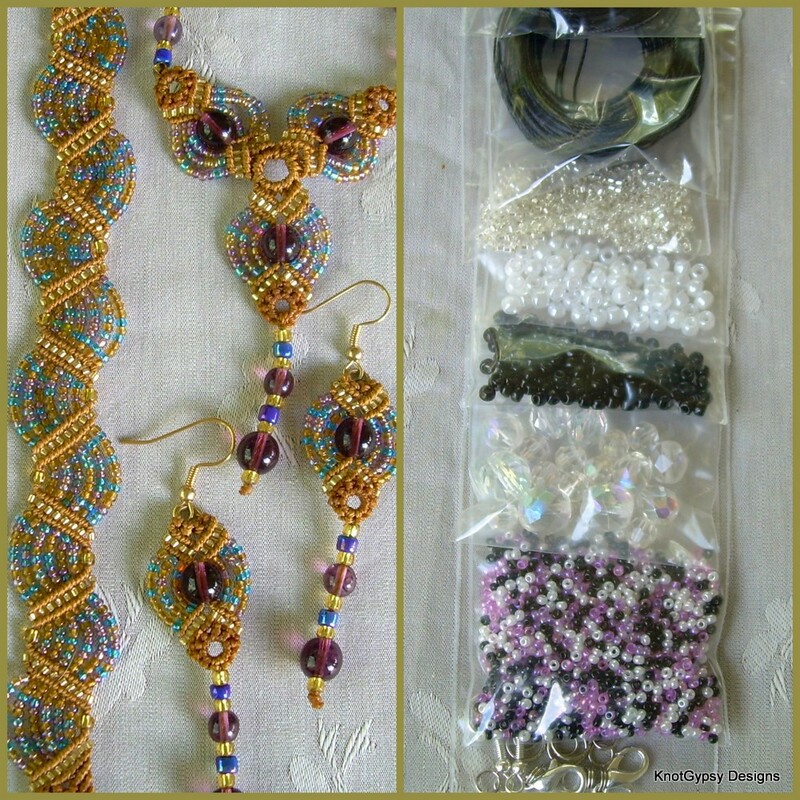 Yesterday, I listed some "Speckled Fans Jewelry Set" kits in a variety of colors. 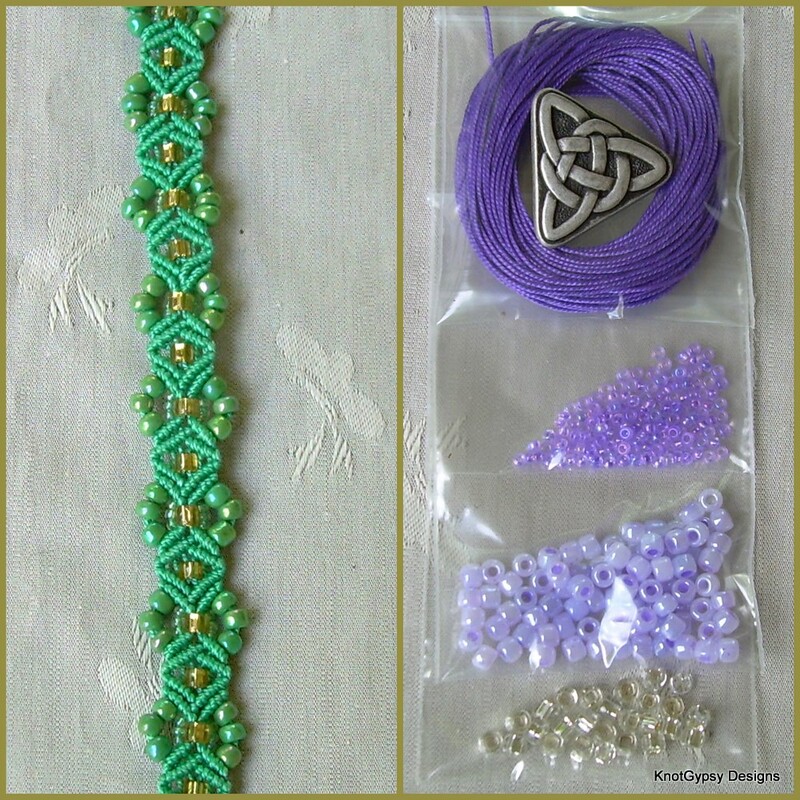 And today, I listed some "Casual Diamonds Bracelet" kits in a variety of colors. The include some really cool triangular metal buttons with a "Celtic Knot" motif that I found the last time Button Drawer had a big sale. Appropriate, I thought. By the way, did you notice I am experimenting with some new photos for my kits? Picassa now has the capacity to make "collages" from photos. I love it. I think the collages make it "cleaner" looking and easier to see what the kit is for, especially in thumbnails. I do have more to write about, but not sure if that will be tomorrow or sometime this weekend. Stay tuned. Hi! I love your works. Finally, I was able to find a blog that features beaded artworks. 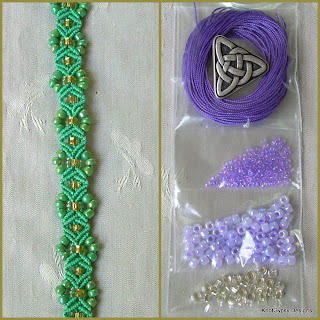 Beads are also one of my favorite...Hope to hear from you soon.